From: J.R.R. Tolkien, “Tolkien on Tolkien,” Diplomat (October 1966): 39. This business began so far back that it might be said to have begun at birth. Somewhere about six years old I tried to write some verses on a dragon about which I now remember nothing except that it contained the expression a green great dragon and that I remained puzzled for a very long time at being told that this should be great green. But the myth­ology (and associated languages) first began to take shape during the 1914-18 war. The Fall of Gondolin (and the birth of Eärendil) was writ­ten in hospital and on leave after surviving the Battle of the Somme in 1916. The kernel of the mythology, the matter of Lúthien Tinúviel and Beren arise from a small woodland glade filled with “hemlocks” (or other white umbellifers) near Roos on the Holderness peninsula to which I occasionally went when free from regimental duties while in the Humber Garrison in 1913. I think the so-called fairy story one of the highest forms of litera­ture, and quite erroneously associ­ated with children (as such). 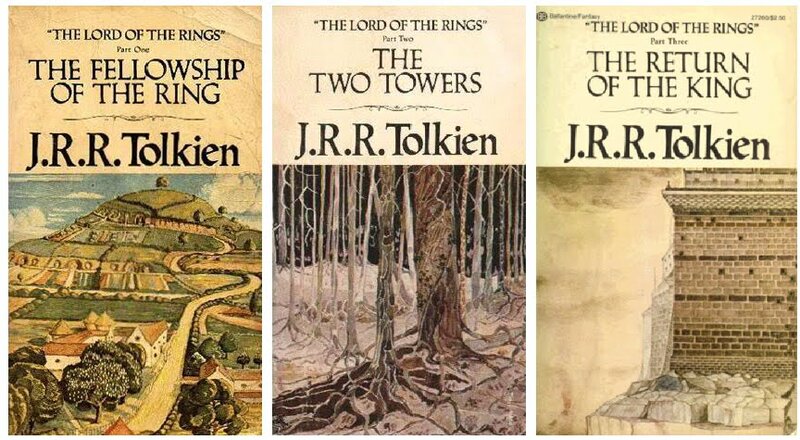 I came eventually and by slow degrees to write The Lord of the Rings to satisfy myself: of course without success, at any rate not above 75 percent. But now (when the work is no longer hot, immedi­ate or so personal) certain features of it, and especially certain places, still move me very powerfully. The heart remains in the description of Cerin Amroth (end of Vol. 1, Bk. ii, ch. 6). but I am most stirred by the sound of the horses of the Rohirrim at cockcrow; and most grieved by Gollum’s failure (just) to repent when interrupted by Sam: this seems to me really like the real world in which the instruments of just retribution are seldom themselves just or holy; and the good are often stumbling blocks. It is not “about” anything but itself. Certainly it has no allegorical intentions general, particular or topical; moral, religious or political. The only criticism that annoyed me was one that it “contained no religion” (and “no women” but that does not mater, and is not true anyway). It is a monotheistic world of “natural theology.” The odd fact that there are no churches, temples or religious rites and ceremonies, is simply part of the historical climate depicted. It will be sufficiently explained—if (as now seems likely The Silmarillion and other legends of the First and Second Ages are published. I am in any case myself a Christian; but the “Third Age” was not a Christian world. “Middle-earth,” by the way, is not a name of a never-never land without relation to the world we live in (like the Mercury of Edison). It is just a use of Middle-English middel-erde (or erthe), altered from Old English Middangeart: the name for the inhabited lands of men between the seas. And though I have not at­tempted to relate the shape of the mountains and land-masses to what geologists may say or surmise about the nearer past, imaginatively this “history” is supposed to take place in a period of the actual Old World of this planet. Nothing has astonished me more (and I think my publishers) than the welcome given to The Lord of the Rings. But it is, of course, a constant source of consolation and pleasure to me. And, I may say, a piece of singular good fortune, much envied by some of my contemporaries. Wonderful people still buy the book, and to a man “retired” that is both grateful and comforting.